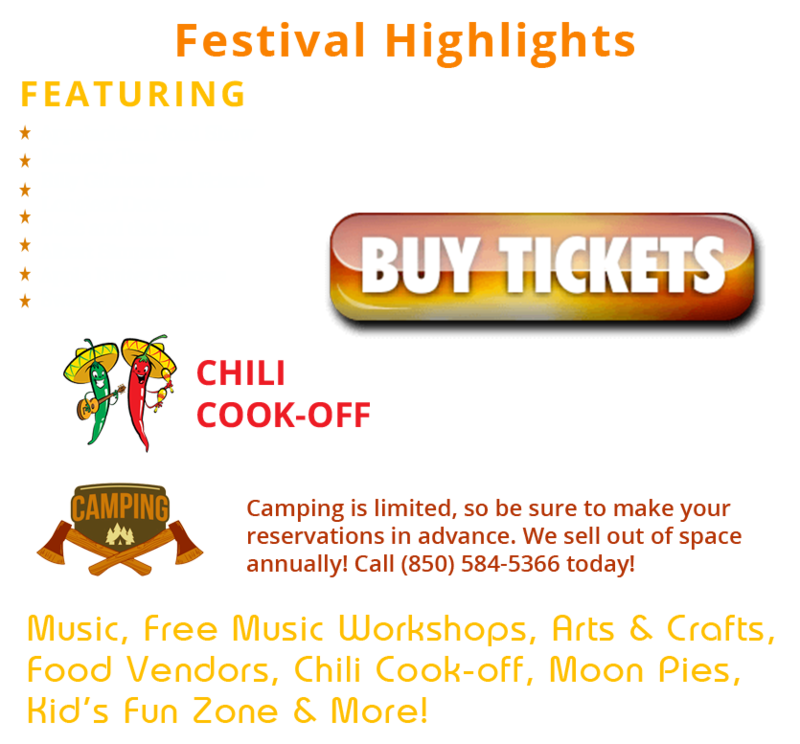 Welcome to the Florida State Bluegrass Festival & Chili Cook-off! Click here to download the Chili Cookoff Application. Click Here to download the Kids Zone Flyer.